Paint Saint - Home Improvements, Painter/Decorator based in Worthing, West Sussex. Established painting and decorating contractors serving landlords, letting agents and businesses in Worthing and surrounding areas. If I may introduce myself my name is Chris Callahan, I have run Paint Saint now going into our 6th year (established 2012) but previous to that I was employed to one company for 15 years as a decorator/supervisor. I took the big step of leaving a secured job to set up on my own over Christmas time, I have never looked back. With the experience and qualifications I have I can offer you a fast, efficient and safe working service that you will be happy with, Paint Saint is fully insured with our public liability insurance. From time to time and job depending I do need to get extra decorators to help out, all the help I do get are decorators that I would trust working in my own home alone. At times I have had some at my house working and I would ask my wife what she thought of them and if she is happy for them to be in the house then the next step would be for them to come and work alongside me. I have previously worked for Windlesham House School, Hargreaves Group, Field Place School, PEP Printers, Morgancarr, Ashvale Investments, ketching King Estate Agents, Leaders, Robert Luff & Co, Prime Care, Bramber Construction, MOD on the Falkland Island, many private landlords and private customers. If you would like to have a look at my page on Checkatrade and www.facebook.com/paintsaintdecorators/ there are some pictures and reviews or if you would like any more information on what we can offer, please get back in touch. I am fully qualified painter and decorator I am self-motivated, organized and capable of working under pressure to delivering a quality finish in the time frame quoted; clear, logical mind with a practical approach to problem solving and a drive to see things through to completion. In short, I am reliable, trustworthy and hard working with an eagerness to learn and maintain the necessary up-to-date courses and qualifications to allow me to be one of the best in the field. 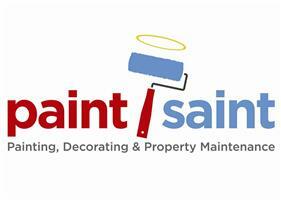 Paint Saint specialise in all types of residential and commercial painting and decorating. I have built a trustworthy team with decades of experience. I always aim to exceed customer expectations, even when working to tight schedules and deadlines. All my work is always completed on schedule to a master finish.